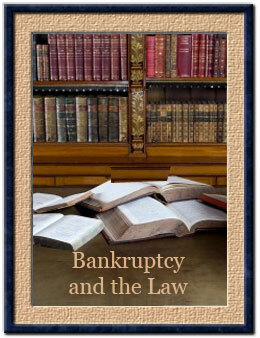 If a debtor defaults in his plan payments, the trustee and/or the creditors can move to dismiss the case, or convert it to Chapter 7, under Bankruptcy Code Section 1307(c)(6). That section requires the default to be "material", which usually means at least 2 or more missed payments. Under these circumstances, the trustee will often send out a "notice of default" letter to the debtor and his counsel, stating that the case will be dismissed unless within 20 days the debtor either cures the default or comes to a satisfactory solution to the issue with the Chapter 13 trustee's office. This can often consist of allowing the debtor to make up the missed payments over time, or to extend the period of the plan. The trustee will exercise her discretion when there are defaults under the plan. She will treat the matters on a case-by-case basis. If, for instance, the debtor is paying a large dividend to creditors, has been paying for years, then the trustee may be more inclined to allow the debtor some more latitude. If, on the other hand, there is only a nominal dividend, and the debtor has exhibited a pattern of missed or tardy payments, then the trustee may be more inclined to recommend dismissal of the case. During the course of the case, a debtor may miss his ongoing payments to a secured creditor, such as the trust deed holder on the debtor's home. The secured creditor can ask that the automatic stay be modified to allow the lender to pursue its remedies under state law, such as foreclosure on the house. Also, under Section 1307(c)(6), the creditor can also ask that the case be dismissed or converted to Chapter 7. If a debtor fails to file his ongoing tax returns, the Internal Revenue Service or other tax entity can ask that the case be dismissed, under Bankruptcy Code Section 1307(e). If a debtor fails to pay ongoing child or spousal support, or other domestic support obligation ("DSO"), then that creditor can ask for dismissal or conversion of the case, under Bankruptcy Code Section 1307(c)(11). If the debtor defaults under the plan, the trustee can request that the case be converted to Chapter 7, rather than being dismissed, if the debtor is eligible for Chapter 7 relief. Under Bankruptcy Code Section 1307, the Court will look to see what is in the best interests of creditors and the estate. In many cases, it might be better for creditors to have the case dismissed, so that they could then continue with their collection efforts against the debtor, relieved of the automatic stay. On the other hand, if the debtor has assets which are nonexempt and available for liquidation (sale) by the Chapter 7 trustee, then conversion might be the better track for creditors. If the case started as a Chapter 7, and then converted to 13, the Court might be more likely to reconvert it to Chapter 7, as under those circumstances the debtor does not have an automatic right to dismiss his case. That might be colloquially called "Chapter 27".